The referendum on September 30 will be held for whether or not to accept the agreement with Greece on changing the name of the state as Northern Macedonia, but the polemics targeted also the Albanians who are seen by referendum opponents as a destructive element or as they say, supporters of the degeneration of the Macedonian identity, language and culture. One of the leaders of the referendum front, Janko Bachev, said on Monday that the referendum will not succeed, but that the government, the Albanian parties and the US ambassador have begun to frighten the people that there will be war if the referendum fails. In this case, Janko Bachev has used offensive terms for the Albanian parties: "Everyone is clear that the referendum will not succeed and now Prime Minister Zoran Zaev wants an alibi for referendum and scares the people, and as you see American Ambassador (Jess) Baily, Albanian parties (as he has referred to the term 'shiptariske parties) are beginning to speak openly that there will be war if the referendum fails. So the people are scared because the government is clear that the referendum will not succeed," Bachev said. Such a statement has prompted numerous reactions. The prosecution said they are notified of the case and if they find that there is offensive content, they will take concrete measures. The Government reacted by condemning the act, but also by requiring such cases not to be repeated. "In Macedonia's democratic history, no politician, openly, through television, uses hate speech against a certain ethnic community, and it never happens to happen again. 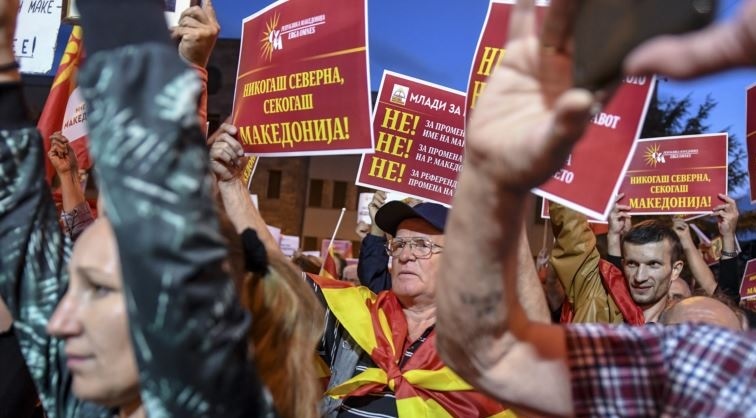 Leaders of such parties not only spread xenophobia but also aim to boycott the future of Macedonia," said Government spokesman Mile Boshnjakovski. In Macedonia there is a continuous use of hate speech, which is more a consequence of the fact that institutions do not react to users of such a language, which promotes inter-ethnic shrinking, marginal exponents who do not have any great power but who can influence public opinion, says Sefer Tahiri, Political Affairs Advisor and professor at the Faculty of Communication Sciences at the South East European University in Tetovo. "We have a Public Prosecutor who is inert, not active, does not do her job to denounce these people who use hate speech and for which is predicted the imprisonment ... The justice system in Macedonia faces an important challenge important institutions should be placed in terms of prevention and sanctioning of all those who will try to influence political processes by using degrading terms that spread hatred towards Albanians but also against the international factor," says Tahiri.